Sitting down to write a rough schedule for upcoming reviews and attempting to ensure some variety between new-to-me reads and old favourites, there was one book that I struggled to decide whether to add. 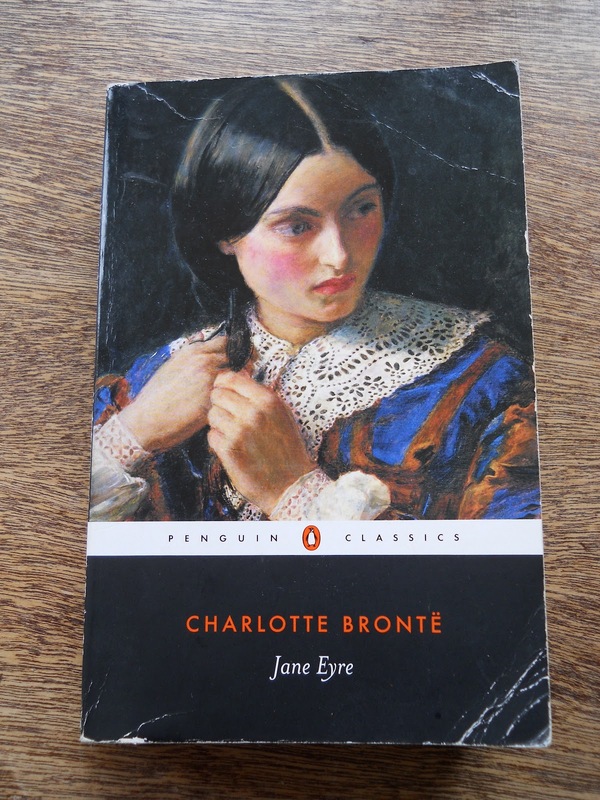 Coming top in my estimation of the classics, Jane Eyre is a book that has been my constant companion since I first turned its pages many, many years ago. This is a novel completely imprinted on my mind and its characters so much a part of my life that they are practically invisible friends (perhaps revealing a little too much into the highlights of my social life). I imagine that we all have a book we feel similarly about – whether it be through a childhood immersed in the escapades of Rat, Mole and Mr. Toad of Wind in the Willows or perhaps too much time spent in the grips of Tolkein and Middle Earth. But the problems this causes in terms of offering a review or recommendation are numerous. The idea of reviewing Jane Eyre is virtually a task insurmountable for me, because to communicate, in a concise and somewhat coherent way, what this book means to me and why I love it would be like asking Abraham Lincoln for a one-sentence summary of the Gettysburg Address. It cannot be done. But my love and irreverence for the masterpiece that is Jane Eyre is still something I want to share. Since, without this particular book in my life, I truly doubt that The Book Habit would exist. So I sat down to ponder how best to tackle the epic and paradoxical feat of discussing Jane Eyre without really discussing it. And I realised that my love of this book, as well as the aspect most relevant in my choosing to recommend it to others, is its lead character. Because, for me, Jane Eyre is the ultimate literary heroine. So it is from this angle that my ‘not-a-review’ review shall proceed. My much-read, much-loved copy of Jane Eyre. The topic of ‘ultimate literary heroine’ is one that I find myself debating fairly often. With a recent influx of books, particularly aimed at young adults, placing females at the helm, it’s a subject that I have also found myself thinking about more frequently. When you ask readers about their favourite heroine, the responses are typically standard – Elizabeth Bennett from Pride and Prejudice (fair enough), Hermione from Harry Potter (also, fair enough), Katniss from The Hunger Games (losing me a little but ok), Bella from The Twilight Saga (we can no longer be friends). Too often, however, Jane Eyre is overlooked. Contemporary fiction, especially that aimed at teenage girls and/or YA fans, seems to be grasping for the extreme. There is no hesitation in placing female characters at the centre of a novel, yet their heroism must now be a feat of unrealistic ability. They must either possess supernatural powers or be able to fight as if they do. With certain exceptions, I truly believe that recent literary trends have led us to a point where realistic and rounded female heroines are almost null-and-void. This judgment is naturally borne of comparison, particularly a comparison to women portrayed in classic literature. Jane Eyre is a young woman brought up in horrendous circumstance. She is rejected by her aunt and cousins and is forced into a boarding school where cruelty is the norm. But her natural intelligence, empathy, and spirit, allow her to turn this situation on its head. She becomes an accomplished tutor, and takes the, almost revolutionary, initiative of advertising for a paid position as a governess. Winding up at Thornfield Hall, Jane’s life intersects with that of the infamous Mr. Rochester (and, not forgetting, crazy Bertha). Jane is sensible and courageous. Her circumstances and upbringing are such that she would have every reason to turn her back on humanity, becoming self-absorbed and emotionally untouchable. But she never loses her empathy. And she never loses her capacity to love. Yet, above all of this, Jane always prioritises her dignity, self-respect, and freedom. This is why Jane Eyre is the ultimate literary heroine; because her choices and principles are ones that are not temporally or geographically restricted. They do not require to-the-death fights or wizarding wars to make themselves applicable. Rather the battles that Jane fights, and the way that she chooses to do so, have resonance for us all. Unremarkable in appearance and truly sensational in her commitment to her personal freedom and morality, this is a what a heroine looks like. Wonderful quote! Another one of my favourites. Thanks so much for sharing!